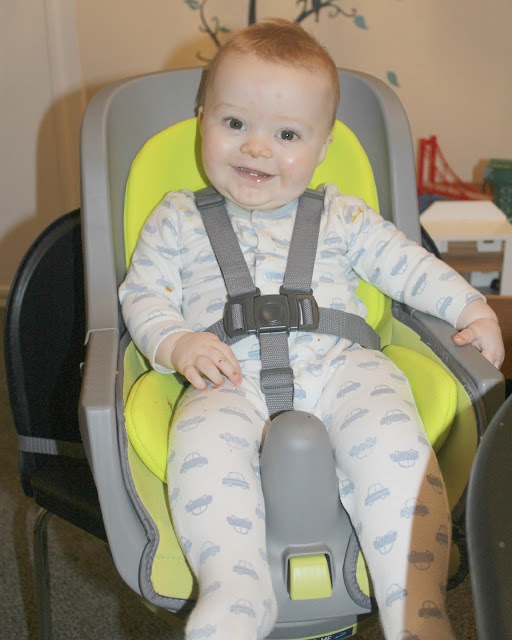 Over the past few weeks we have been trying out a new product designed to make mealtimes with little ones easier - The Graco Swivi Booster Seat. The Swivi is a 3-in-1 booster seat which rotates 180 degrees to allow parents to perfectly position their baby/child in order to allow them to fully interact with the family at mealtimes. The Swivi is suitable for use from newborn as it has a true infant cradle recline which includes a plush body support to keep baby secure and comfortable as you bottle feed - I've not come across a booster seat suitable for use with newborns before and as we have one joining our family soon I can see how this would be extremely convenient when it comes to busy mealtimes with other children, how handy to have the new baby right there in his or her own little seat alongside the other children to leave you hands free for dishing up dinner and maybe even getting to eat your own while it's warm - imagine! The grow-with-me design makes it suitable for use with older children too - you can use it as an upright seat for infants and even as a backless booster seat for toddlers! The removable tray can be easily detached using just one hand and includes a dishwasher safe insert to make cleaning easy. So how have we been getting on with it? We've been using the Swivi primarily with Noah at breakfast, lunch and dinner time - before this arrived we were happily using our Graco highchair for seating Noah during feeding and to be honest we hadn't really considered a need for anything else - but as with any highchair the child is at a different height to the rest of the family at the table (ours is particularly low) and although it keeps baby secure and comfortable, it does somehow feel that he is sitting separately to us even when it's pulled up as close to the table as possible - what we all loved about using the Swivi was that Noah was right there at the table with us. This made mealtimes feel like so much more of a family bonding experience - we have even started to feed him his dinners at the same time as we're eating, rather than feeding him separately as we did previously due to it being too difficult to spoon feed him whilst we were eating - now that he's sitting at the same level as us it's a lot easier! 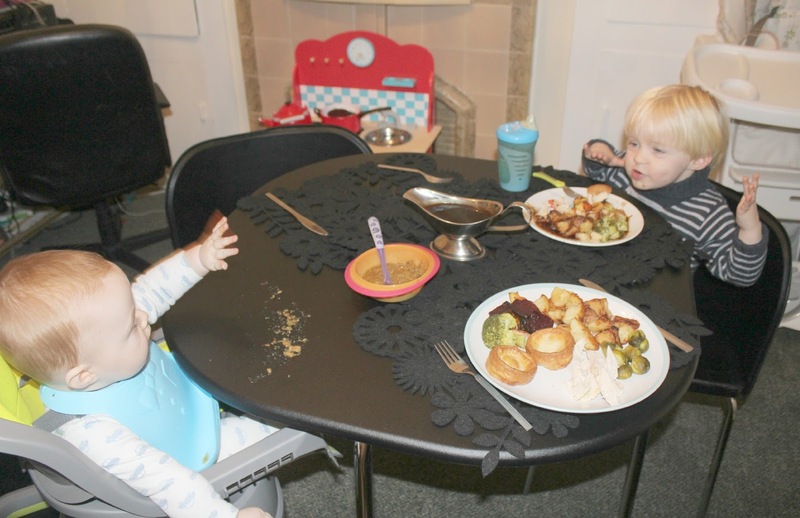 I have loved the fact that having Noah with us at the table means his interaction with Tyne has increased as during mealtimes they now sit right opposite each other and Tyne chats to his baby brother while he eats, we have devised little games to encourage Noah to eat more of his dinner and it generally just makes mealtimes feel like a lovely family time. 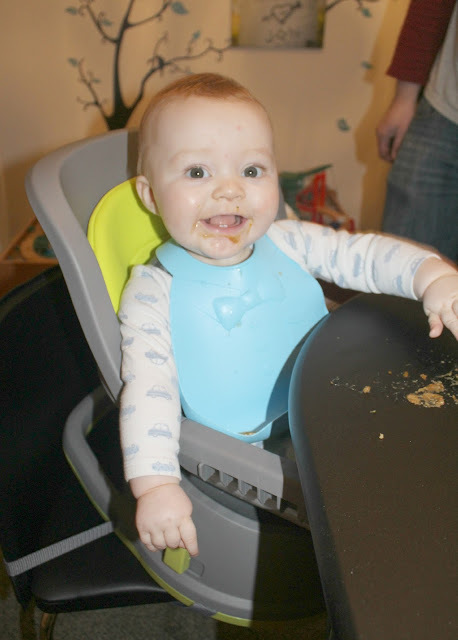 Jon & I take it in turns to feed Noah during mealtimes now, and we prefer to use the seat without the tray most of the time - although we do tend to use it at breakfast when Noah is given more finger foods to try self-feeding. 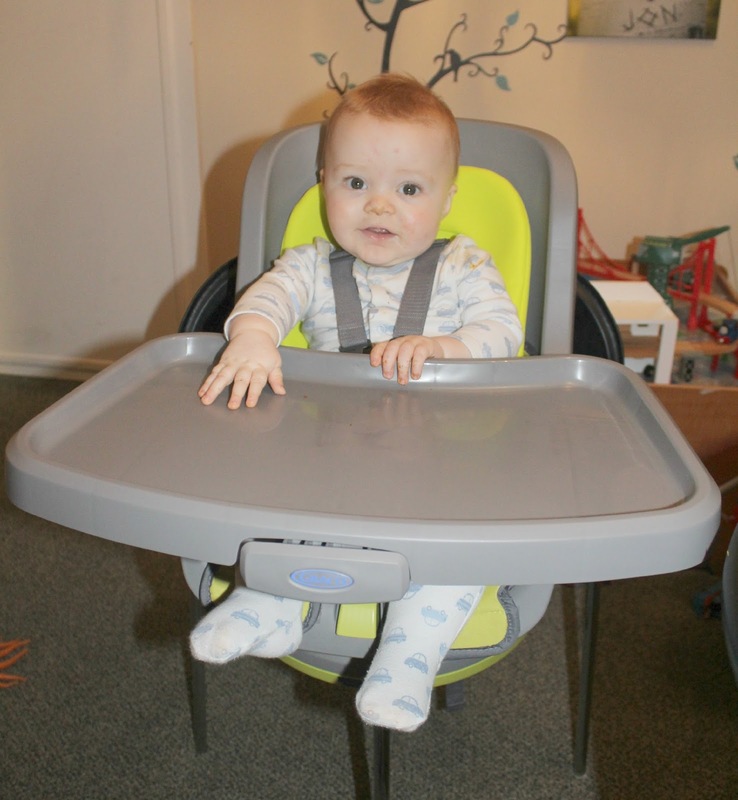 We love how easy it is to change from infant seating to toddler seat, as we have also used it with Tyne - on our current table he can reach the surface quite easily but using the booster seat does give us peace of mind as it means if we need to quickly nip into the kitchen he's not going to fall out of his chair or escape anywhere! He seems to enjoy using it, and finds it comfortable. It really is ideal to use with all ages - I could do with 3 of them to keep all of the children safely seated all together at the dinner table once the new baby arrives!! Suitable for use from newborn to approx 3 years. The Graco Swivi 3-in-1 Booster Seat is priced at £79.99 - for more information please click HERE or visit http://www.graco.co.uk/store-finder to locate your nearest outlet. This looks like a great product! I heavily considered getting a booster seat, but from the chicco brand instead. 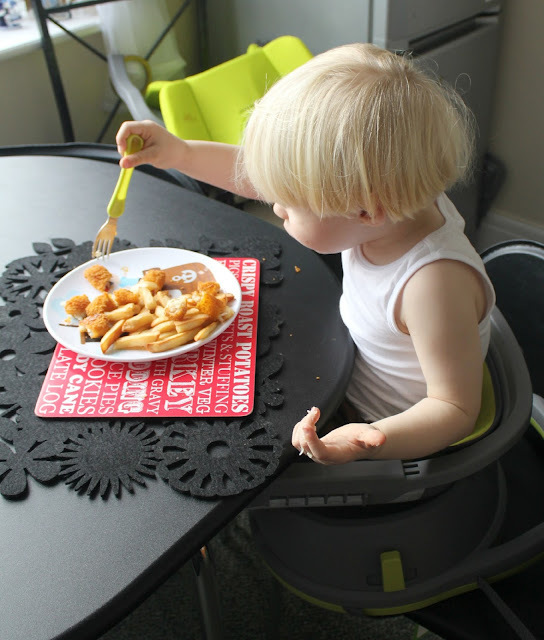 I was gifted a highchair from family before I could though. This looks like a good buy as I haven't seen one from newborn stage either. It certainly has good selling points!